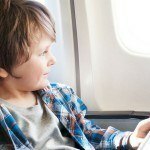 One question that I thought about a lot when I first had the seemingly crazy idea of travelling with young kids was when is the best age to travel with kids? Do they suddenly reach a golden age where it’s awesome? 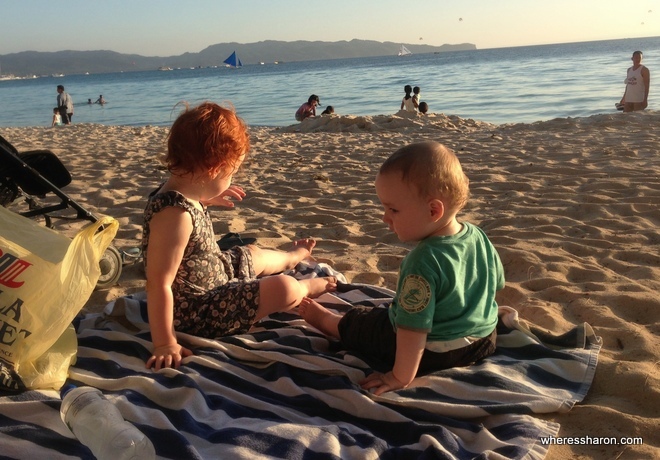 Is it totally crazy to consider travelling with babies and toddlers? 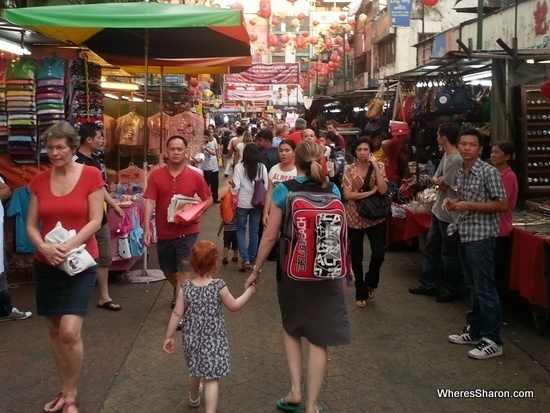 My research quickly told me what I later found out to be true – there is no perfect age to travel with kids – just lots of pros and cons at different ages. My oldest daughter is now 6 and our next overseas adventure will see us travelling with a 6 year old, a 4 year old and a 3 month old baby. That means we have a school aged child, a preschooler and a newborn. Do any of those ages particularly worry me? No. I just know that there are certain activities that I would like to do with each one as some things will be easier/better with a baby, whereas some will be easier/better with the older kids. We get to share the experience more with them. We don’t have to worry about naps. We can have more fun together. They are more opinionated about where we go, what we do, what we eat, everything really. They can make things really difficult if we don’t do what they want. Due to above points, there is far more compromise about where we go and what we do. 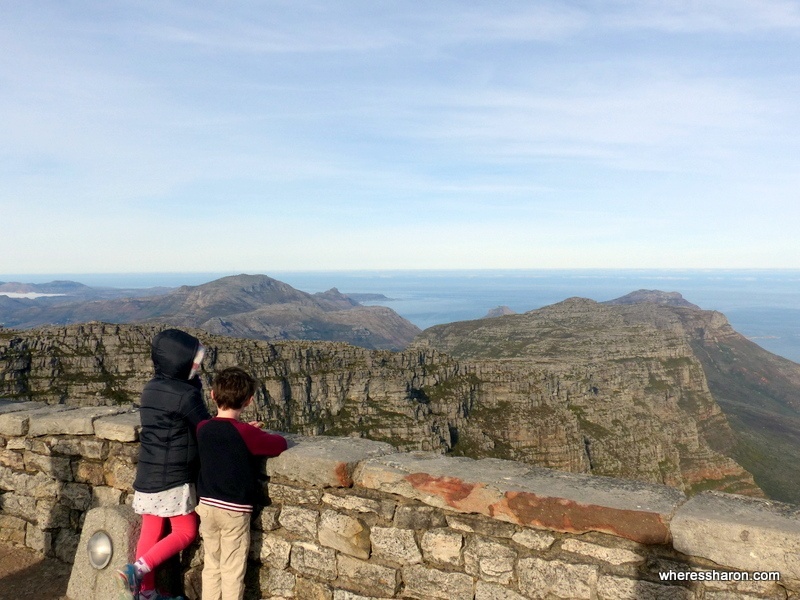 It may seem crazy but there were many times last year when I wished for the simplicity of travelling with babies and young toddlers when we could still do what we wanted more or less, especially as we had a very difficult threenager to deal with. 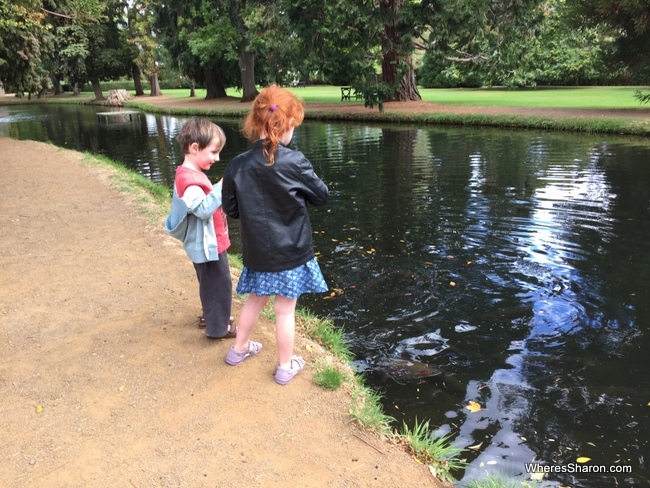 I obviously can’t share what it is like to travel with older kids so this article will focus on the pros and cons of travelling with babies, toddlers, preschoolers and young school aged kids. I will update it as the kids grow though! 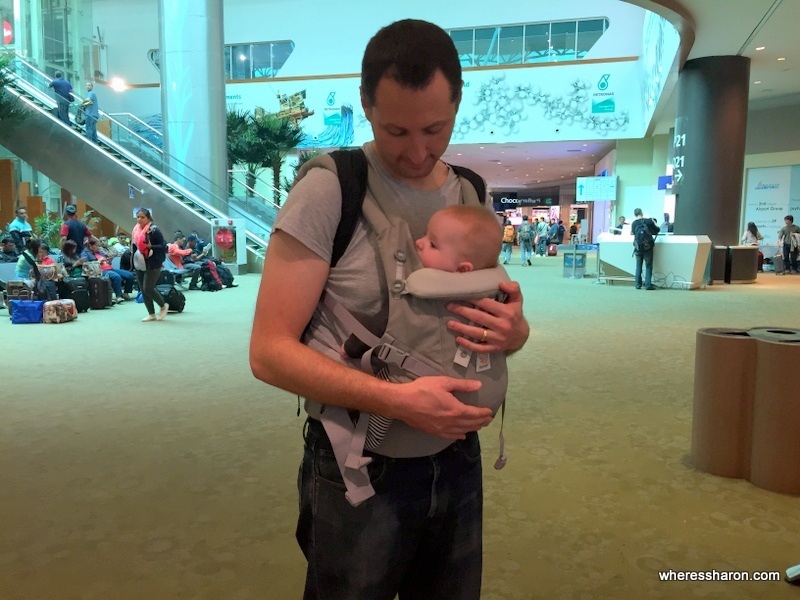 Don’t be too scared to travel with babies! In many ways I think this is the easiest age to travel with. Babies just want YOU. They are generally happy as long as they are with their parents. You can put them in a carrier and do many of the activities you would have done on vacation before kids. If they are breastfed and less than 6 months old, you don’t even have to worry about any food or drinks. They are free or cheap for pretty much everything. 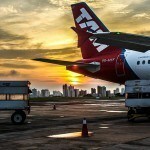 Overall, if there is a golden age for travel – the first six months is what I would pick! Baby J is by far our easiest travel companion at the moment, and the fact that I am not hesitating at all to plan lots of trips with our third baby should tell you something. However, there are some downsides of course. Like when you are at home, sleep can be a big issue. If your baby is a bad sleeper then you may worry that you may be too tired to enjoy your holiday. As someone who has been blessed with bad sleepers, I definitely do understand this. For me personally, I would not want to travel in the first six weeks which I find especially exhausting. Generally, however, I find being away from home gives me a breath of fresh air and everything is easier to cope with than when at home, including sleep deprivation. A bigger issue for me is nap times. My kids have not slept that well while out and about and having to go back to the hotel for naps can be annoying. I also hate the huge amount of luggage. Travel cribs, bottles, formula (I think we took 7 tins on our first trip with Z! ), stroller, carrier, it adds up quick. We usually find we need a suitcase just for a baby 😮 And I think we are good at travelling light. Tip: Try to keep to your baby’s schedule as much as possible. The better rested and happy they are, the happier you will be! Don’t be scared to alter it a little though. In Asia, we would add an extra nap so we could go out a bit later which worked well. 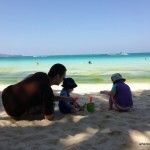 Boracay with a 1 and a 2 year old. It was still awesome! I’m not going to lie, toddlers can be challenging. Something we have certainly found with our first two children, though, is that every child handles it differently. 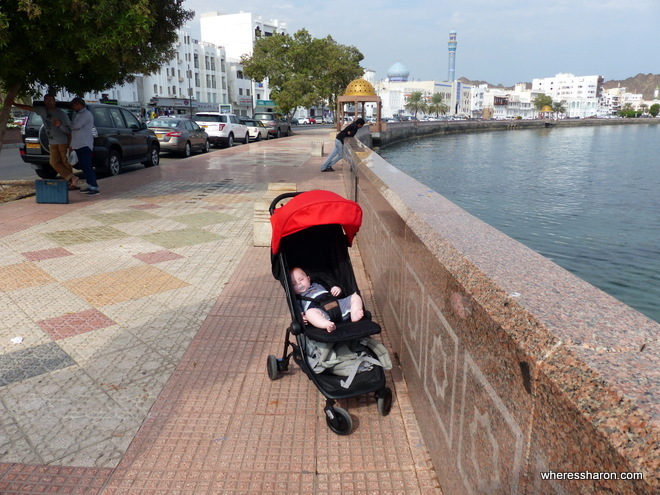 S was VERY challenging to travel with as a one year old. Our hardest international trip by far was when we went to Phuket and Penang just with her at 1. In fact, travelling with a turning 1 year old and a 2 year old on our next trip was far easier than this one! In many ways, I think 1 can be the hardest age. They are old enough to want to be active and don’t want to keep still. They still need lots of sleep time. And they just don’t understand what’s going on. Long haul flights can be a nightmare. They also still need a lot of the gear that babies need. If you are lucky enough to have bad sleepers like us, then exhaustion can still be an issue. On the upside, we still found it easy enough to do adult activities with a one year old, like visit museums. Their amazement in the world around them is a pleasure to watch. They are still quite portable in a carrier. We also found travel a great way to expand their vocabulary and they always came back from trips speaking so much more. They are also not all bad. Z was actually very easy to travel with as a one year old and we did a lot of travel during that year. Even flying all the way from Melbourne to the Caribbean was fine. In contrast to S, he was a very easy going toddler but then became very difficult when he hit 3. So you definitely need to tailor any advice about travelling with a toddler to your own child. We found two years old actually one of the better times to travel with both of them. They were both happy to go with the flow as long as they were well rested and fed. They do have similar pros and cons to 1 year olds, but they have a better understanding of what is going on which means you can reason with them a bit and they can find long journeys easier. They can also walk a fair bit which can make things easier. Tip: Toddler behaviour can vary a lot. If your child is relatively easy going at home, then they will probably be good when travelling. Harder toddlers can be hard work, but it doesn’t mean there won’t still be a lot to enjoy about travelling with them. This is my current area of expertise after spending last year travelling with two preschoolers. There is a lot to love about travelling with this age group. Kids by this age have a much better understanding of what is going on. It was lots of fun to start planning our trips together and talk to them about what is going to happen. It’s also great to hear their excitement and interesting to hear what they have to say about their experiences. There are lots of fun things for this age group to do. They are also more physically capable so they can walk a fair bit, including upstairs which is a huge win at times! They also generally don’t need naps. We definitely were able to get more out of travel once we didn’t have to keep coming back to hotel rooms for nap times. Basically, travelling with a preschooler is lots of fun. They can entertain themselves on long journeys, they are so curious about the world around them, they don’t need anywhere near as much gear – we were able to travel carry on only again. They also don’t have to worry about school, so there is no stress about keeping to school holidays or homeschooling. The flip side of this is that they are more independent – they do care what we do, where we go, etc and they can make life quite difficult if they don’t want to do it. Trying to go to any attraction that isn’t kid friendly is hard work and requires a lot of bargaining and compromise – and often just one of us adults going alone. Three year olds especially can only walk so far but can be heavy to carry. Our daughter, in particular, was very big for her age so carrying her around was a nightmare by the time she hit these years and a stroller is not always practical. This age group is usually toilet trained, at least during the day, but that also has its disadvantages. It’s hard for a three year old to hang on for long so sometimes I missed nappies. 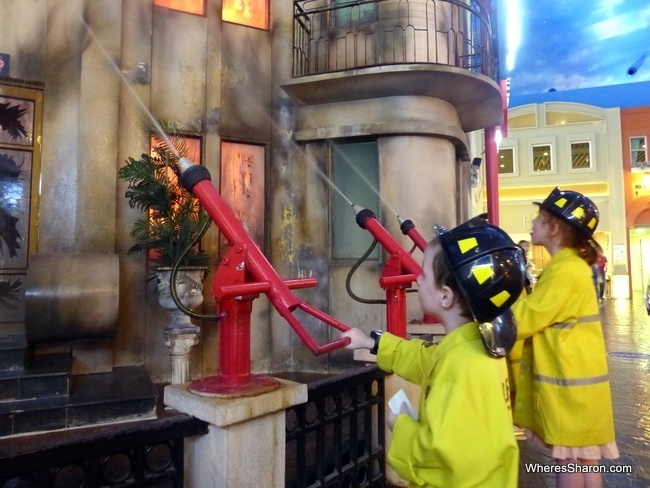 Putting out the fire in KidZania Bangkok. 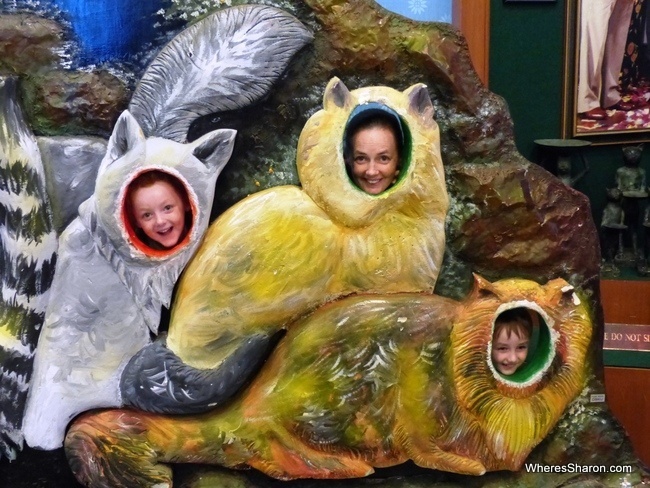 Thankfully kid attractions are also often very enjoyable for adults too! Our kids also missed family and friends back home once they hit this age group. They weren’t as happy to hang with just mum and dad and needed opportunities to socialise with other kids. All up, we found travel as a family far more rewarding at this age than the previous ages, we just had to be more flexible about our own needs. This is a new experience for me as S has only started school this year, so I am not going to pretend to be an expert. However, I am already getting a great handle on the pros and cons! The biggest con of this age group so far definitely seems to be that they are at school. This limits the periods we can travel and can make it a lot more expensive. Although some parents are happy to take their kids out of school, this is not something I feel comfortable with, especially if it’s just because of money. This means we are having to plan our travel far more carefully and be happy to compromise on destinations to try to stop it costing a crazy amount. School is also tiring for a just turned 6 year old so she does need some downtime in school holidays to just be. She also wants to be around her friends and I think she would be upset with us if we took her out of school for travel. She doesn’t want to miss out on things. Travelling at this age definitely does require compromises as described above in regards to destinations, what we do etc. 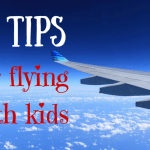 Our kids are also over long flights after all our travel last year so their first question about any destination is about how long the flight is! It’s also more expensive as less and less things are free as they get older. On the upside, they are maturing all the time and becoming more open to adult focused attractions than they were even a year ago. S is more capable of helping us plan and understanding what certain destinations might be like. As her reading improves, I imagine she will be able to help even more so and we especially look forward to taking her to a German speaking country in the near future where she will be able to put her new language into use thanks to her school. As they get older, they are generally just more fun and easier to deal with as well. 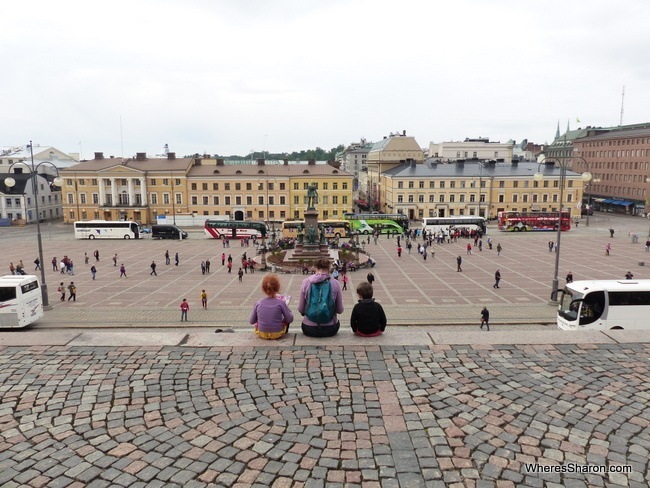 There you have it – my pros and cons of travelling with different ages. Probably the easiest time for me has been when the kids are in the same age bracket at the same time. My first two being only 21 months apart has meant that this has happened from time to time. This is because then we get the full benefit of the pros and we can make smarter choices to balance the cons. Otherwise I must admit that I am excited to travel with them as school kids – to learn more about the world together and to share more experiences with them. 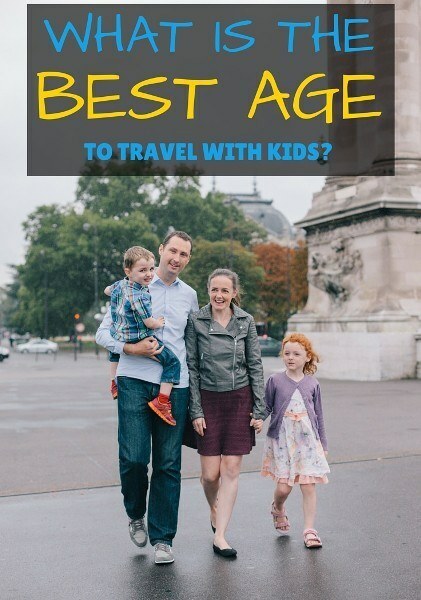 What’s been your favourite age to travel with kids? What pros and cons have I missed? We never travelled in the first baby year but have travelled with our son at the toddler, early preschool and now primary age groups. I found the toddler and early preschool years easy as he just went where ever we took him without complaint and he was always very happy as long as he had his pram – he felt safe and could nod off to sleep when he wanted. The later preschool early primary were a bit more tricky, no more naps and constantly demanding attention. I have to say I am loving travelling with him in the primary school age group. He sits with me at the computer to plan trips, he is interested in learning about the new environments and finally willing to try new foods. I am so looking forward to our next holiday in 6 weeks. That sounds great Sally! I look forward to the not too distant future where my kids can help more with the planning (other than just saying yes and no to things that I suggest). I do miss having kids young enough to go with the flow though!! Earlier this year, we had a wonderful vacation in Maldives with our 1.5yr toddler. Now we are planning for another vacation. He is 2yrs now & very energetic. 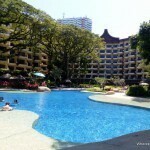 Could you please recommend us any place where we would be comfortable and enjoy our holiday. Your blogs has always been inspirational. Hi Nandan! That’s great that you loved the Maldives! You might have to give me more information about what you are after before I can help. There are so many great destinations in the world. At 2, I would be tempted to go somewhere that I wanted to go as we are definitely finding it gets harder to do more adult activities as they get olde. We are a family of four and our first family trip was sixteen years ago with our oldest in utero. We have traveled with our two girls almost every year, especially in Mexico, Belize and Guatemala. We always travel second class busses, and find people more helpful when we have out children along. I agree with your idea of getting out of the large towns. People are just friendlier in low tourist areas. 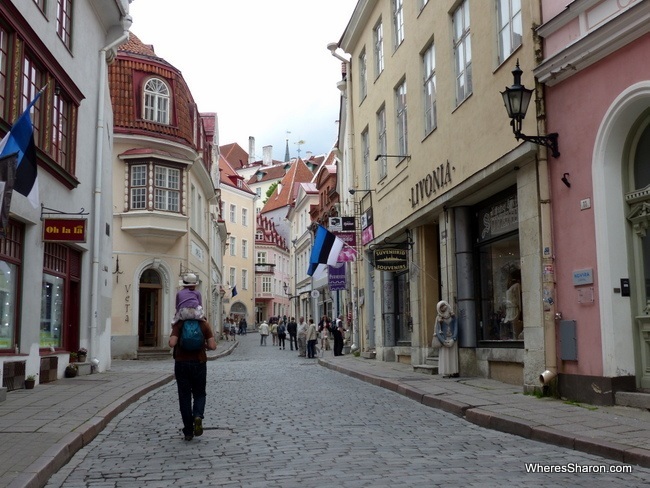 We are school teachers that have taken the year off to travel Eastern Europe with our girls. Share our experience as we travel at continentaldrifters.org We began in July in Budapest then on to Ukraine and Poland. Tomorrow we are off to Wroclaw in search of dwarves! Hi! It sounds like you are in the midst of an awesome adventure. Enjoy Wroclaw, we really loved it there. We have traveled with our three kids since they were tiny. Our first developing country trip was to Ethiopia to adopt our then 1 year old (with our 2 and 5 year old along). We have since traveled extensively (longest trip was 8 months) and the kids are now 10, 11, 13. It’s wonderful at every age. I hear what you’re saying about school, but in my experience children’s ‘love’ of school starts to dive around grades 3 or 4 and it becomes harder to justify traveling in tiny windows of “school holidays” if you truly love experiencing the world. You may find that to not be the case for you, but it sure was for us. Another con for school age children – the amount of beds you may now require each night. With our two we could get away with a king (me plus kids) and the husband on whatever. Now we’re finding we need a bed each, which potentially means two hotel rooms if we haven’t rented privately. Look forward to reading how you overcome this challenge the older your tribe get! Yes this is true! We have already hit the problem really because of having three kids now. We really can’t fit in the one room anymore, they often plain won’t allow it (especially here in Australia) and it’s stressful having all of us in a small space. It’s even more time consuming and frustrating to book accommodation now!! I can imagine the problem will only get worse as they grow. Last year my wife and I travelled around Europe for 3 months (with some time spent in Singapore on the way in and out of Europe, to break up the trip from Australia). At first it was a bit of adjustment and acclimatization for everyone (especially for our daughter getting sick in Singapore, then carrying through to a freezing cold Paris). However, we very quickly realised that by ensuring we spent the mornings with our kids doing what they wanted (play in every playground in sight), we would then have the luxury of going to the galleries and museums and so forth in the afternoons as by then, the kids most likely would be asleep in their prams. We weren’t able to enjoy the night life as much as we wanted to, but we were still able to see over 90% of the sights we had planned. Also, as a result of it, our son (who was 1), now has a love of trains and planes, and he makes sure he lets us know everytime he sees them. And yes, transport and admission tickets were either free or very cheap for our children. With the money we saved on those things, we were able to organise luxury taxi transport between our train stations/airports and our accomodation. No, we didnt go to Switzerland, as we thought it might be too expensive for our budget. We spent some time in Innsbruck, Austria and stayed in the same hotel Mozart stayed at when he was a child. Such a beautiful, quaint little town. We loved it! Another favourite of ours is Florence, though we went there for our honeymoon, not our recent European adventures. Thanks Andrew! I fear it may be too expensive for our budget too!